Say it simply and say it with strength. That's the concept behind our men's Platinum Cross Pendant. 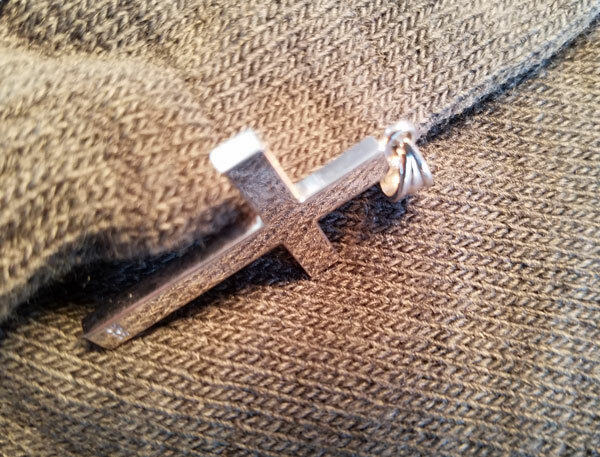 As a cross of solid platinum, it has a substance and weight just like faith. Yet its high polish and clean crafting give it a simple elegance. And it still can be engraved on either side to make it a keepsake that can be passed down through generations. That's probably why it is our best selling men's cross pendant. Cross measures 1 3/8" tall by 1" across and approx. 2.9mm thick, solid (1 11/16" tall with hoop/bale). Weighs approx. 14.25 grams of Guaranteed 950 grade platinum. 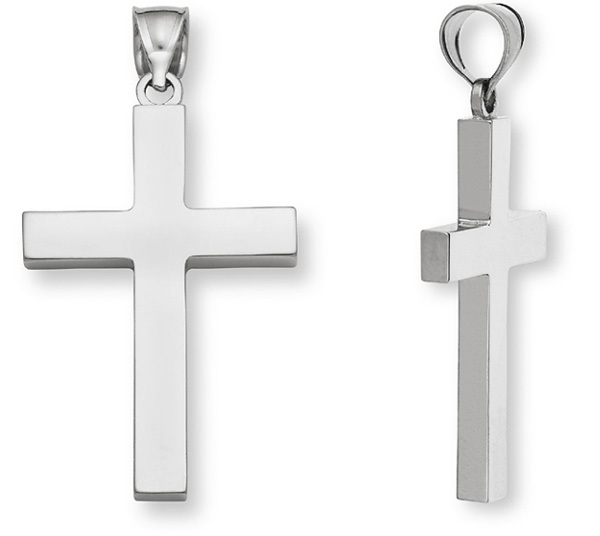 We guarantee our Platinum Men's Cross Pendant to be high quality, authentic jewelry, as described above.